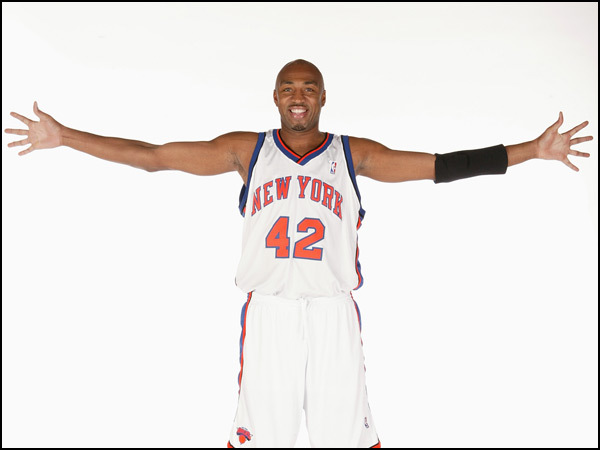 Vin Baker played 13 seasons, made four All-Star teams and made over $97 million in his 13 NBA seasons. All that is gone and he is currently working as a barista at a Rhode Island Starbucks. He's now four years sober and finally at a good place in his life. There's way too much to say about Deflategate and you'll likely disagree with me since I'm a Pats fan (though this #Bradying meme is fun). So let's all just have fun with The Roger Goodell Random Punishment Generator and enjoy this lovely late July day. NBA teams were having a fun time on Twitter yesterday coming up with memes on how excited they were for next season to start. Then the San Diego Chargers entered the fray and things got interesting. David DeJesus was traded to the Angels and no one is more excited than his wife, Kim. She earns LLOD honors (here's her full-size gallery). I haven't promoted a charity in a while but if you have some extra money (it can be as little as $5), please donate to K9s for Warriors. The organization is dedicated to providing service canines to warriors suffering from Post-traumatic Stress Disability, traumatic brain injury and/or military sexual trauma as a result of military service post 9/11. Anything you can do to help would go a long way. In honor of John Cena, who broke his mid-match on Monday. Any report that suggests two sides were coming close on a settlement in the Brady matter is rubbish. Plain and simple, rubbish. LeBron James responded to rumors of a Space Jam 2 ... The NFL could easily recover Tom Brady's text messages (it just doesn't want to). I'm sure this Brady fan wants a fair resolution for the Pats QB ... Interesting New York Post cover today, featuring Gisele in a burqa ... Good news: Leah Still's cancer is still in remission and Chiefs safety Eric Berry can return to practice after battling Hodgkin lymphoma ... Ten things we learned from LeBron's Twitter Q&A ... The Olympics are a "dying concept no one wants to touch" ... Red Sox outfielder Mookie Betts appeared to make a great home run-saving catch, but he dropped the ball in the bullpen and suffered a concussion for his efforts ... Geovany Soto hit a home run so far that it smashed the windshield of a car outside Fenway Park ... I have no desire to stay at a floating hotel ... I don't get political in Hot Clicks, but we may have to throw our support behind this candidate for the 2016 election ... This is surprising to people? ... This allegedly cheating wife was exposed at a baseball game. Colorado State guard Antwan Scott informs his teammates that the NCAA granted him another season of eligibility after a foot injury limited him to four games last season. A look at Nina Agdal, Chanel Iman, Robyn Lawley and Jessica Gomes' 2015 swimsuit photo shoots. This is taken from a 2000 episode. For those wondering, there have now been 574 episodes of the hit show. My friend's dad, a dentist, posted this on Facebook and I felt it was worth sharing.